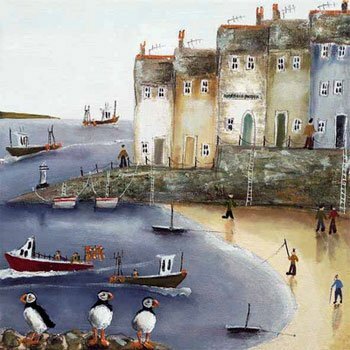 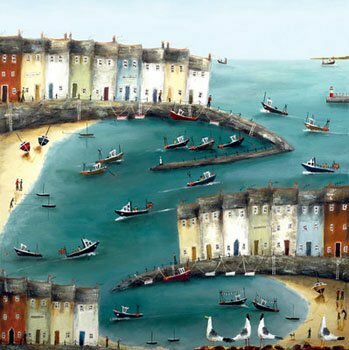 Following on from her achievements as ‘Best New Artist 2008′ & â€˜Artist of the Year 2010,’ Rebecca Lardner, has achieved outstanding success for her wonderful oils on canvas. 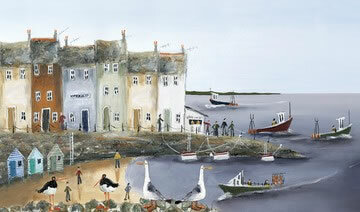 These oils are delightfully distinctive, as she tends to depict the hustle and bustle that surrounds English harbour life. 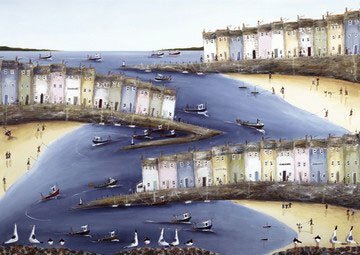 Lardner manages to create a feeling of ceaseless activity and energy in her works through the composition of the sweeping shore lines that mimic the natural curves of the English coast, her portrayal of people-filled beaches, the inclusion of the docking boats and the addition of observant seagulls perched along the shoreline. 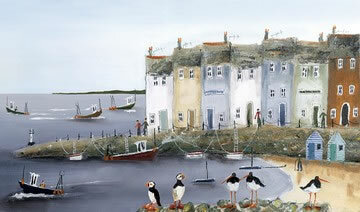 Here’s a challenge, how many birds and how many different breeds of birds can you spot in each painting? 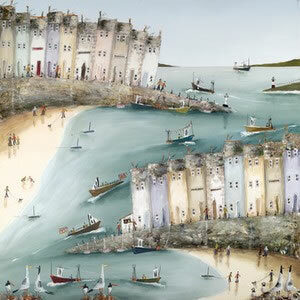 www.visitblackpool.com – we couldnâ€™t leave off Britain’s most famous seaside resort now could we?